What Is a Caucus and How Does It Work? A caucus is a meeting of members of a group or subgroup to discuss issues and make decisions. "To caucus" (verb) means the process of meeting to discuss issues and come to a decision. In business processes, including union negotiations. Caucuses are often closed, with their discussions kept confidential. In mediation, the two parties to a dispute get together with a mediator to try to work out an agreement on their differences. 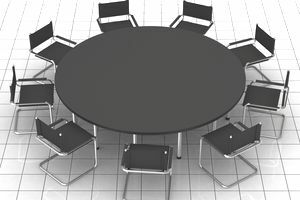 In the mediation process, a caucus is a confidential meeting of members of one side of a dispute, usually with the mediator. As the mediation process begins, all parties meet as a group with the mediator, then they go to separate rooms to discuss the issue, in caucuses. The mediator goes back and forth between the two caucusing parties, hoping to bring them together. Sometimes difficulties arise between the parties and a caucus in this instance can become a "time out" and cooling off period. Mediators use caucuses in divorce mediation for a variety of reasons. Sometimes a caucus can give one party an opportunity to "sound off" without alienating the other side. At other times they may be a way to test alternative solutions to each side separately or to offer negotiating advice to one side or the other. A caucus in the political sense is also a discussion by a group. In this case, the group makes decisions on candidates or issues. Political caucuses have been used to select delegates to conventions or in legislatures to discuss an issue outside of the legislative process. Within the U.S. political system, there is another kind of caucus. In this case, the word "caucus" is used to describe a group with shared ethnicity or viewpoints within a political party. Many state legislatures and Congress have causes - groups of legislatures with a common purpose. For example, some states have women's caucuses; the Louisiana Legislative Women's Caucus has as its mission "the premiere voice and leading monitor of issues, legislation and policies, which impact women." The U.S. Congress has many caucuses, from an Auto Care Caucus to the Tea Party Caucus. These groups are formed under different rules in the House and Senate. The two political parties caucus very differently. In the 2016 Iowa caucuses, as noted by Fox News, supporters of candidates may campaign and make speeches before balloting. The process for the Democratic party is more complicated. The word "caucus" supposedly comes from an Algonquin word for "gathering of tribal chiefs," and this definition seems most appropriate for the political caucus process. You may have heard of the Iowa Caucuses, which are held early in the year of a presidential election. In this particular caucus process, groups of Democrats and Republicans in precincts in Iowa meet to discuss the possible candidates for U.S. president and to elect delegates who support these candidates. In any kind of caucus, the group may take a straw poll to attempt to determine the wishes of a group. The straw poll is unofficial, to see which way the wind is blowing. In the past straw polls were local, but in the most recent elections, straw polls have become computerized. Before elections, large-scale, scientifically determined surveys are taken of a random sample of the population in an area. They are used to test public opinion on candidates or issues. The two sides have come to a stalemate on a specific issue like health care benefits. Neither side will budge on the issue. Sometimes a mediator is involved to help move the negotiations forward. The mediator might suggest that each side caucus, to see if they can come up with a solution. Some large unions have caucuses within their organizations to work on specific issues, much like political parties. For example, a caucus group within a teacher's union might focus on the issue of benefits or equality. A jury in the judicial system can be seen as a form of a caucus. A jury is a group that gets together to try to agree on a verdict in a lawsuit. After some conversation, the jury can take a number of straw polls to determine if a verdict has been reached. If a Tax Auditor Knocked on Your Business Door, Would You be Ready?